RRP £135.00, Our Price £115.00! 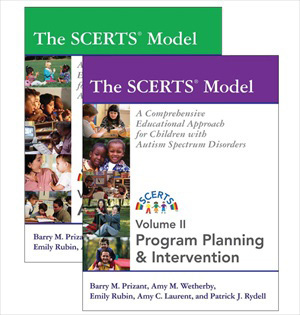 This two-volume set provides a comprehensive and multidisciplinary approach to enhancing communication and socioemotional abilities of young children with Autism Spectrum Disorder (ASD) and related disorders. The approach, SCERTS, prioritizes Social Communication (SC), Emotional Regulation (ER), and Transactional Supports (TS). It is a practical model that includes family members as collaborators and can be used with children from the early intervention to the early school years. It targets functional skills and measures progress across a variety of social partners and in a variety of settings. The model is systematic and semi-structured, but it is flexible to respond to the individual differences of children and families.